NAGOYA, TOKYO - The fans have yelled, they’ve screamed and they’ve cajoled for more My Hero Academia for months now. And right on the precipice of their dreams coming true, it is being snatched away from these very fans. Gnash your teeth and tear out your hair because Season 3 may be the only a dream we’ll be seeing. “It’s too soon. 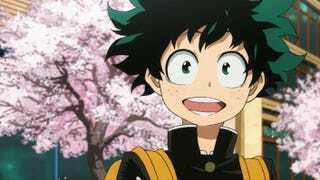 We weren’t seeing the sort of fan engagement and activity necessary for us to greenlight a full series” says Masahiko Minami, one of the top people at Bones, the studio in charge of all My Hero Academia products. “When it comes to new series being produced, there’s a certain quality that we’re looking for. And while the beginning part of My Hero Academia met that level, what we were seeing as it went along did not meet the standards we strive to make.” Kenji Nagasaki is the director at Bones, and has had his eyes set on larger fish since the smash hit Blood Blockade Battlefront Season 2 steamrolled its ways to the anime market last winter. But sources say, the real reason that My Hero Academia isn’t being fully released is another property that is consuming their time: Mob Psycho 100 Season 2. “The amount of money put into the animation budget of MP 100 was grossly underestimated for the new season, and with the full series being released upcoming there’s just no more money for us to put into a potential stinker of a series like MHA” says a person close to Nagasaki who wished to remain anonymous. When asked for comment, the AniTAY community did not let down. “MY FAVORITE SERIES OF ALL TIME AND THESE [redacted] AREN’T GIVING IT TO ME?” bursted Requiem upon word of this being released. Unfortunately, we had to say goodbye to good friend Protonstorm since his head exploded when he heard the news.